Florida Georgia Line have announced the dates and cities for a massive 2019 tour with a stop at Jones Beach on Sat, July 20! tix: http://FGL.jonesbeach.com - The duo's Can't Say I Ain't Country Tour is Tyler Hubbard & Brian Kelley and are set to release their fourth studio album, Can't Say I Ain't Country, on Feb. 15. “We're ready to party even bigger in 2019," Kelley says in a press release. "Lots of pyro, energy, and good vibes, with a few surprises up our sleeves. And we're so glad to be bringing our buddies along for the ride!" . 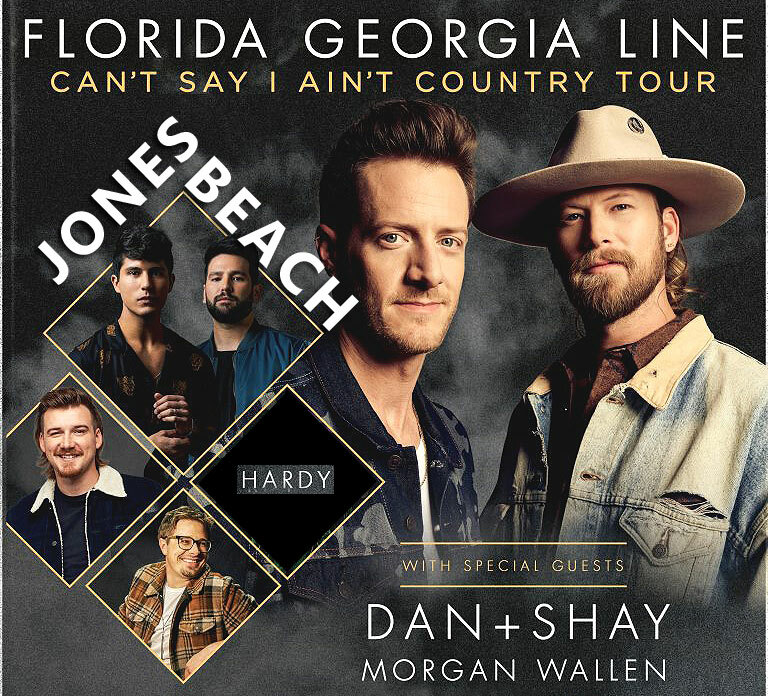 Dan + Shay and FGL's "Up Down" collaborator Morgan Wallen will join them on the road as support acts. Canaan Smith and Hardy will appear on select dates. "We can't wait to get back out and play all of these new songs for you!" Hubbard exclaims. "It’s going to be fire!" During the shows fans are sure to catch songs from FGL’s 19-deep track list of their anticipated new album, including their current chart-rising single, “Talk You Out of It.” Captained by longtime producer Joey Moi with FGL notching their first co-producer credit, Can’t Say I Ain’t Country drops Feb. 15, complete with heavy-hitting guest collaborations with Jason Derulo, Jason Aldean, and Hardy.